Let’s go fly a kite! 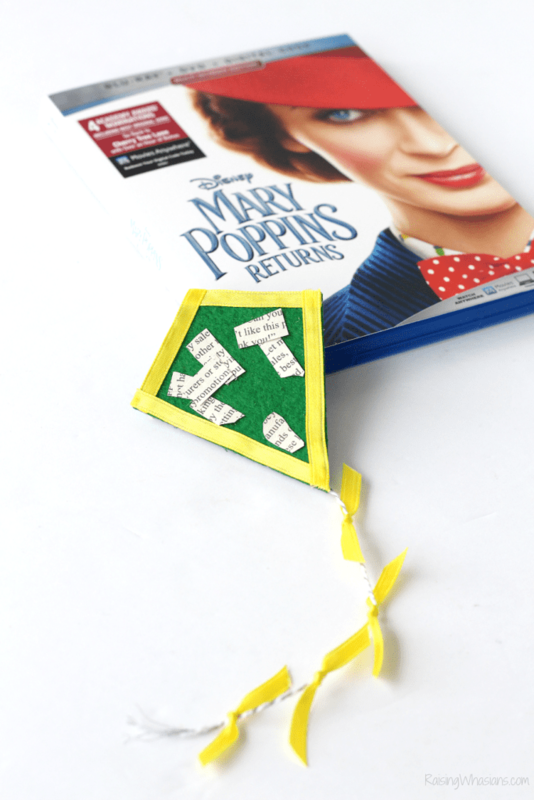 Make your own Mary Poppins Returns Craft Kite DIY to celebrate the Blu-ray release! This post is sponsored by Disney. All practically perfect opinions are my own. May contain commissioned links. 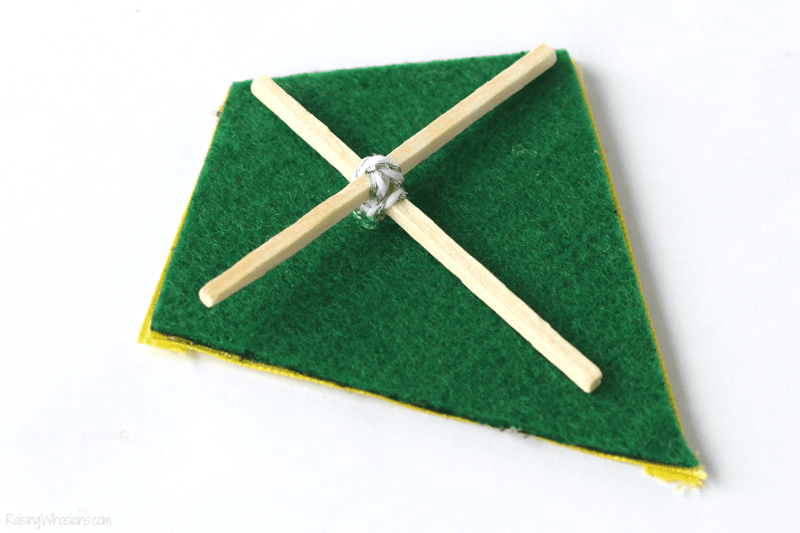 Brings a whole new meaning to the term “Let’s fly a kite!” Well, we may not be able to fly this one, but we definitely can make one with a little bit of magic! Did you love the Mary Poppins sequel? We can now bring home Mary Poppins Returns for the ultimate family movie night. 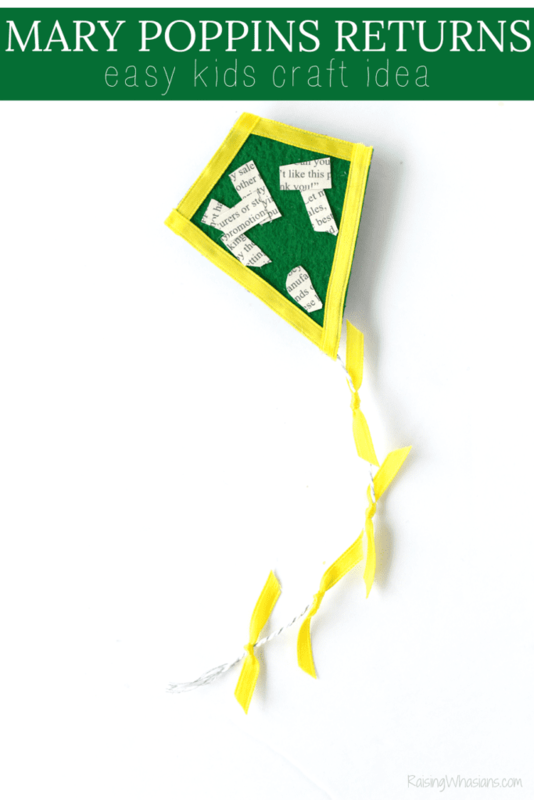 Celebrate Mary Poppins Returns on Blu-ray and digital with your very own Mary Poppins Returns Craft Kite DIY. Plus be sure to scroll down for a GIVEAWAY to win a copy of your very own! Seeing Things From a Different Point of View”: The Musical Numbers of “Mary Poppins Returns” – Go behind the scenes and experience the film’s production numbers from a new angle. Returning to Cherry Tree Lane, it’s like revisiting an old friend. And I love how the famous Banks kite made a heroic return to the big screen in Mary Poppins Returns. So of course, I had to bust out the felt for this Mary Poppins Returns Craft Kite DIY! Just a few crafty supplies and you’re on your way to flying a kite as your family watches Mary Poppins Returns at home! 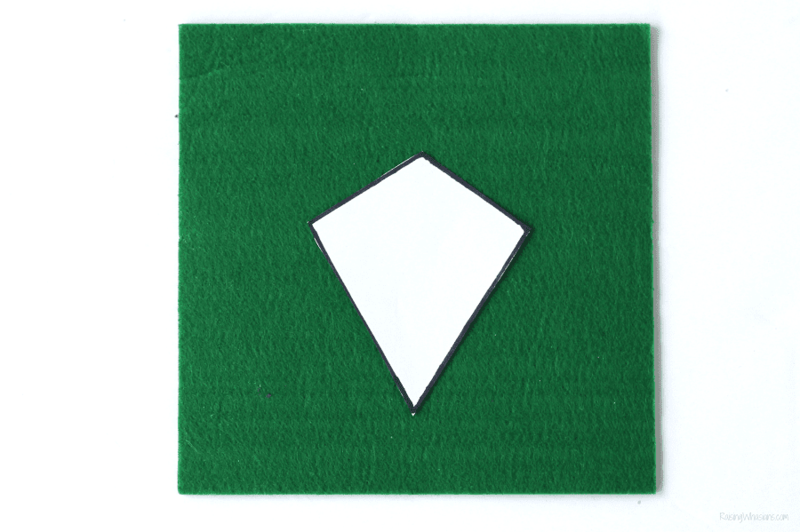 Print and cut out the kite template. 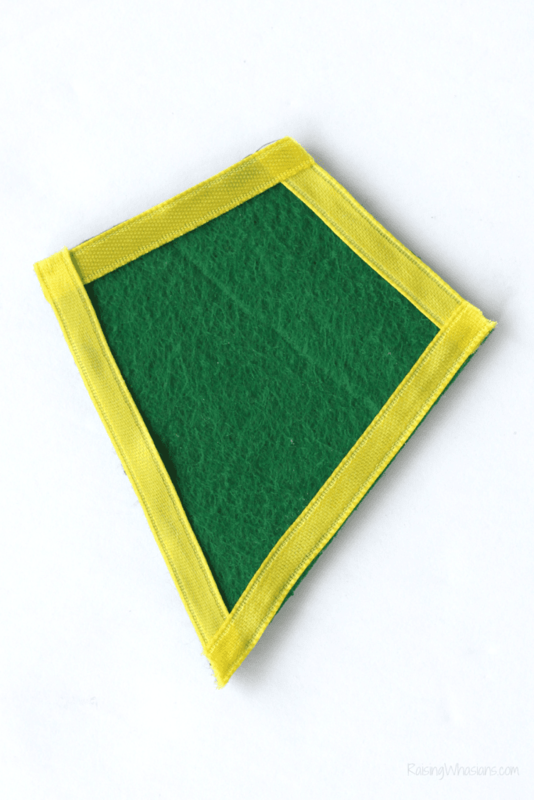 Trace around your green felt and cut out your kite. 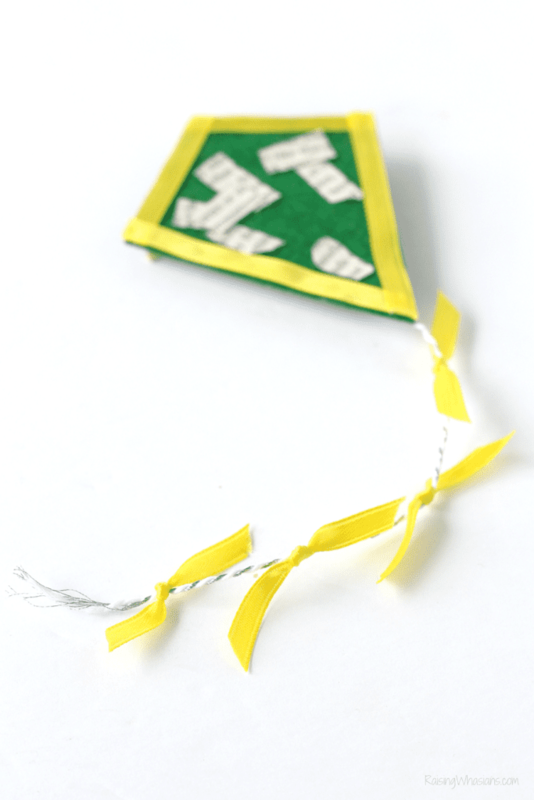 Using glue and yellow ribbon, outline your kite. 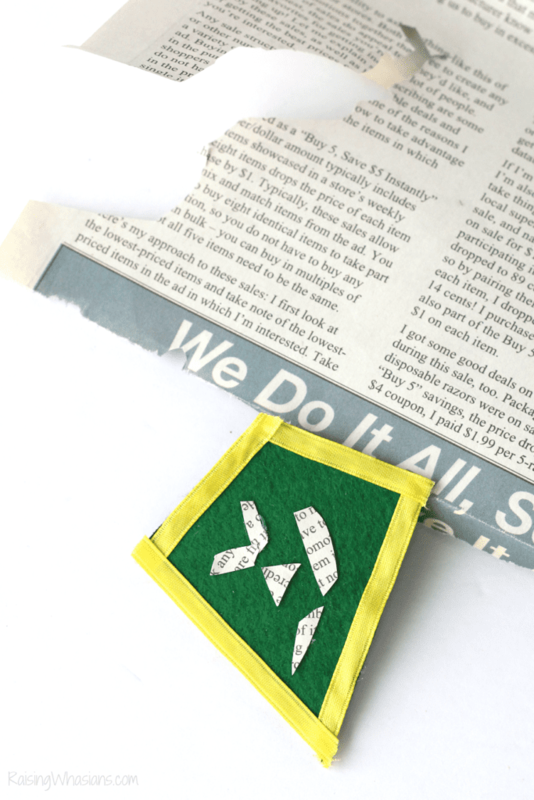 Cut out small strips from your newspaper and glue onto the front of your kite. Turn kite over. Cross your two craft sticks and use the baker’s twine to hold together. Cut off excess twine. Glue onto the back of your kite. It’s not a kite without a proper tail! And while I had no ‘Votes for Women’ sashes lying around, I did use the bakers twine and yellow ribbon to make an adorable kite tail. 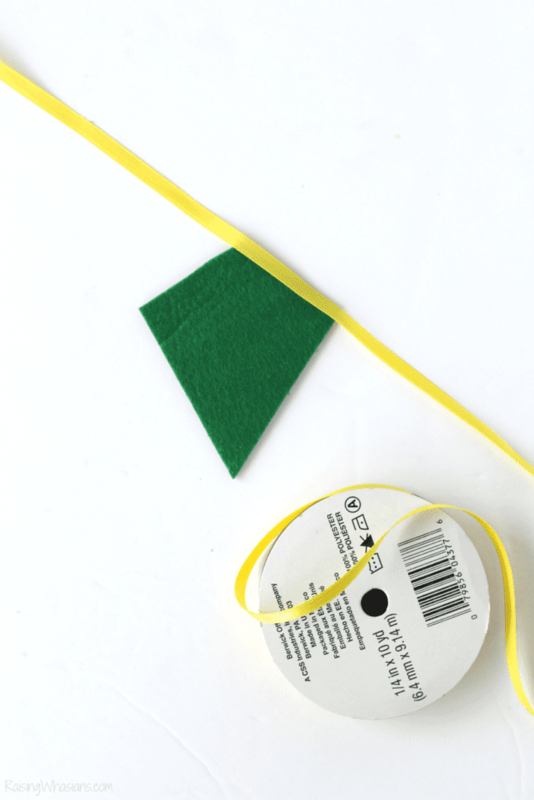 Cut and glue a long strip of ribbon onto the back of the kite. 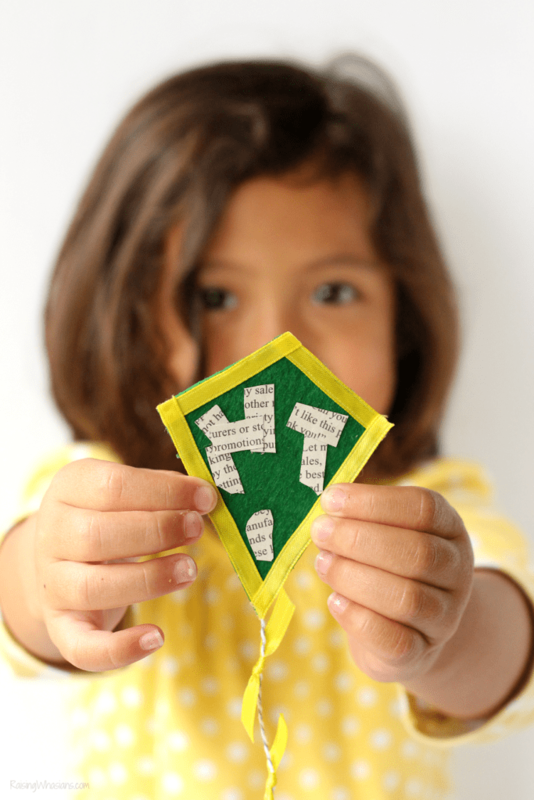 Cut and tie ribbon in small strips to complete your kite. 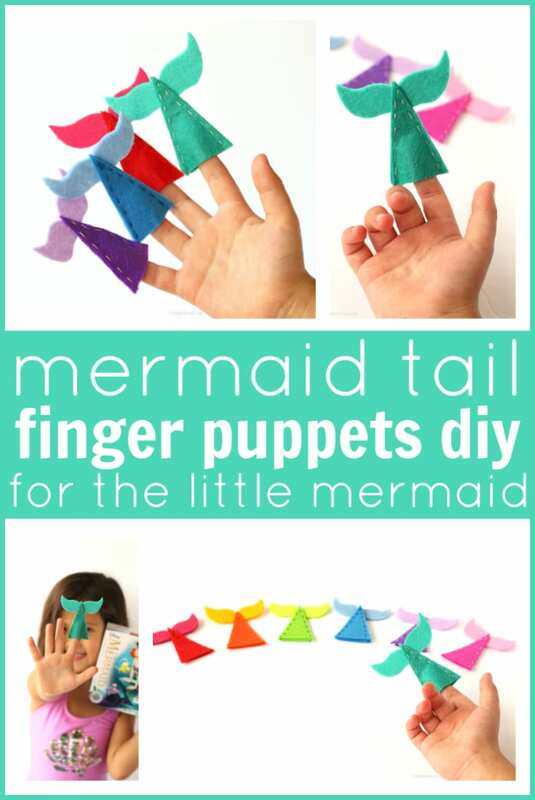 How cute is this mini kite craft idea? 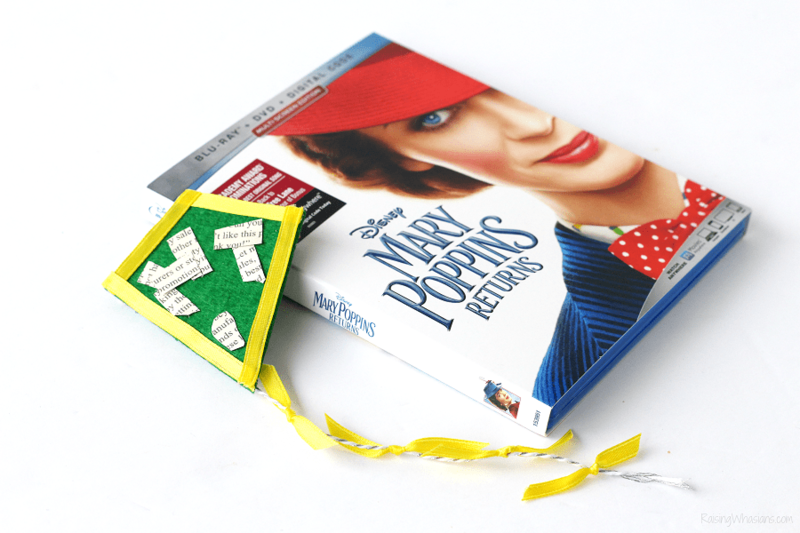 Your kids will love making this easy Mary Poppins craft, a perfect replica kite to “fly” as they watch Mary Poppins Returns for family movie night! Time to bring home the sequel that everyone’s talking about! Get Mary Poppins Returns on Blu-ray and Digital, and be sure to make your own Mary Poppins Returns Craft Kite! Now, let’s go fly a kite! Are you excited to bring home Mary Poppins Returns? 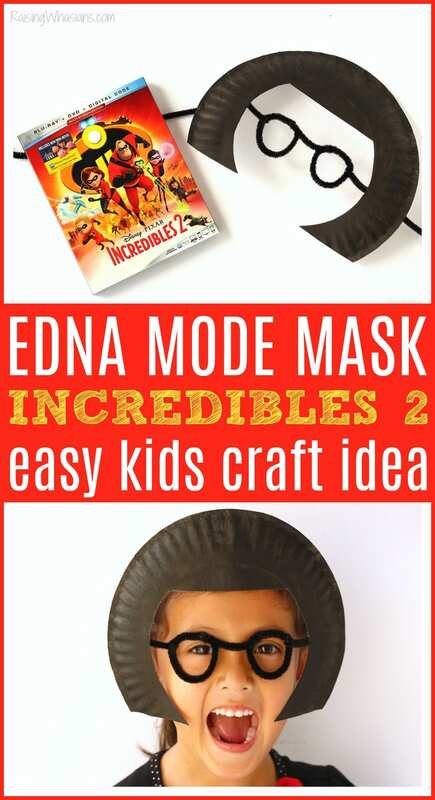 Looking for more Disney craft ideas? Be sure to follow Raising Whasians via Facebook, Twitter, Google, Instagram, Pinterest and YouTube for more easy kids craft ideas, Disney magic and family travel tips! I’d watch with my husband and our 2 boys. Mary Poppins has always been a favorite of mine! I would watch with my husband and son! I would watch this movie with my kids and my mom — we’re all-in on Disney movies but Mary Poppins holds a special place in our hearts. My kids and I would love to watch this movie together! I would watch with my family. Our whole family will enjoy Mary Poppins Returns. The original film is a favorite in our house. Thank you for the chance to win. I would watch Mary Poppins Returns with the whole family. I’d watch with my daughters. I would watch it with my husband and son. We have not seen it yet. I would watch Mary Poppins Returns with my family (hubby, son & daughter-in-law, daughter & son-in-law and 2 granddaughters). I’m pretty sure my grandsons would love this movie as they loved the original, thanks! I would watch with my two oldest granddaughters who are 7 and 3. I would watch with my children. I would watch with our girls. I would watch Mary Poppins with my husband and grandson. I hope I could watch it with my husband , daughter & grandson. 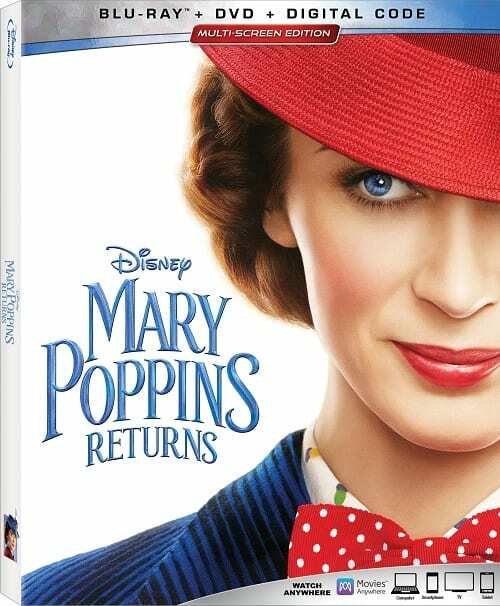 I would watch Mary Poppins Returns with my husband,2 sons and our daughter,I have heard great things about this movie and I’m excited to see it. I would watch this movie with my grandson. I would watch this with my grandchildren. I would watch this with my daughter. I would love to watch this with my nieces. with my mom and grandma! I would watch this with our 5 year old, Samantha. I will watch Mary Poppins Returns with my grandchildren. I would watch it with my son. He wants to see it so bad. I would love to watch this with my son and daughter! If I win, I plan on watching this with my wife. We saw this movie in theaters and enjoyed it. My two little boys and husband! I would watch this with my niece. I think she’d LOVE this movie. I would watch it with all of my grandchildren. I am going to watch Mary Poppins Returns with my husband and 3 kiddos. We love watching Disney movies for our family movie nights. I would watch with my granddaughter. Our grandchildren are looking forward to watching this movie with me and others – ALWAYS a GREAT time when we have movie night! My parents and my nieces! I would watch this with my whole family. “Who would you watch Mary Poppins Returns with?” I think everyone here would enjoy it! I would watch with my kids!!! I’ll watch it again with my niece and nephew. We all loved and will be happy to have this copy. My whole family and I would watch Mary Poppins Returns for family movie night. I would watch this movie with my kids. I love the original Mary Poppins movie. I’d watch it with my daughter. She wanted to see it when it was at the theater, but we didn’t make it. Movie night with my grand daughter. I would watch Mary Poppins with my daughter! We are such big fans. I would watch this with my littles. I would watch with my Grandchildren and my Daughter. The grew up hearing me singing songs from the original Mary Poppins and they are so excited to see this.